The word mesotherapy may sound familiar to you, and you would probably think of burning fat and body sculpting, but mesotherapy is also a treatment for hair loss in men and women. 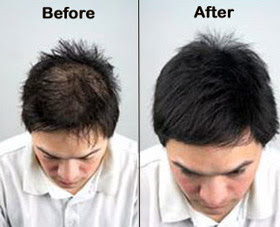 It is considered one of the best hair loss treatments “yet”. It is addressed to people who are experiencing thinning hair and mild to severe balding, but still keep the hair roots so they can be revitalized and grow in a normal way. It consists in several microinjections (an average of 30 to 40 pinches) of a rich blend of vitamins, amino acids, dietary minerals and vasodilators into the scalp to boost blood circulation, which will allow hair follicles to be better nourished, and so hair can grow. Over time, this mesotherapy solution will neutralize DHT, the hormone responsible of hair loss. It can eliminate the need for hair transplant surgery. The treatment takes 20-minute weekly sessions for 4 to 6 months. You would feel little pinches , but no serious harm is produced thanks to local anesthesia. They can be applied whether by gun injection of by hand. The first alternative is faster and less painful. For better results, it is suitable you follow an antioxidant diet and follow regular exercise training.